More 3 stars chefs here. Other 50 best chefs here. 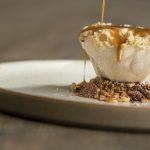 First of all, Chef Gert de Mangeleer and sommelier Joachim Boudens caused quite a stir when they took over restaurant Hertog Jan. Since 2005, it was located in the beautiful city of Bruges, Belgium. 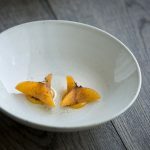 Just one year later, in 2006, followed by rave reviews from local press and prestigious culinary organisations alike, the restaurant was awarded its first Michelin star. Almost three years later, followed by its second in 2009 and ultimately its third in 2011, which it has maintained ever since. Since then he has been also part of the top 100 from the 50 best award. Discover other 50 best chefs here. Overseeing the kitchen at hertog Jan as executive chef, Gert de Mangeleer produces dishes using modern techniques. In addition, he is also using his own home-grown vegetables, herbs and flowers which grow in the garden aside. 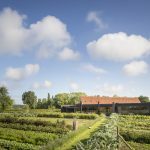 Moreover, next to his dedication to the kitchen at restaurant Hertog Jan, chef Gert de Mangeleer is also an avid supporter of the “Young Chefs”. Since 2011, he helped pioneer this project of the Flemish Ministry of Tourism. Initially, Gert de Mangeleer took over Hertog Jan with his culinary soulmate Joachim Boudens in 2005. 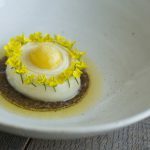 Building on his experience working for top chefs in Belgium, Gert transformed the restaurant’s traditional kitchen into something more refreshing, even revolutionary. 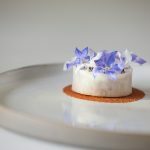 Indeed, focusing on the ways flavours, structures and contrasts take shape, Gert makes sure that his dishes stimulate all the senses and carry his signature style. Discover more 3 star chefs here. 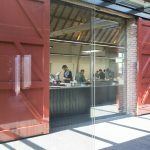 At the end of 2010 Joachim and Gert took the next step in the execution of their philosophy by buying their own farm in Zedelgem. This is close to the city of Bruges. Here, they grow their own vegetables, fruits and flowers. Since July 2014 the restaurant opened at the same location. Furthermore, you can take an inspiring journey from their garden all the way to their kitchen. Also, their menu changes with the seasons, following what the garden has to offer. As a result, Gert de Mangeleer received the European Chef of the Year award in 2014. Moreover, the chef is also ranked 61st at the 50 Best Award. Other 50 best chefs here.